Flashback to sunny days spent on the beach. 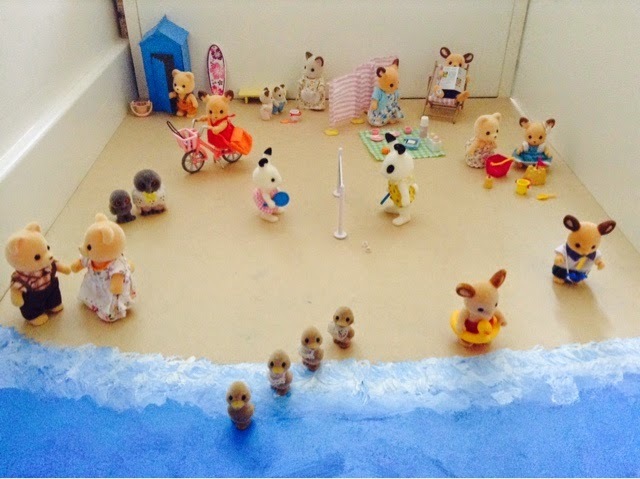 This picture was my sylvanian summer entry. I was initially disappointed I didn't win, but then I saw the winning entries and I was blown away! One day, I will win a sylvanian competition! Also: BREAKING NEWS in Glen Fallow! Adrian just proposed to his boyfriend, and Patrick accepted!! The wedding is set for the 31st of December this year. The whole village is busy getting ready! Good luck for the future competition! Looking forward to see the wedding pictures!